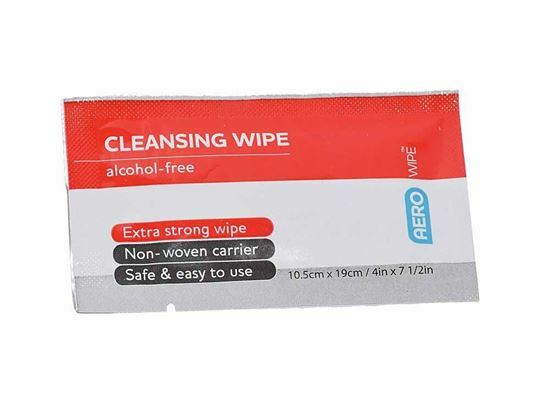 Alcohol-free disposable cleansing towelette wipe (approximately 10.5 x 19cm), containing 1% W/V Cetrimide BP and 0.02% Chlorhexidine BP W/V. Useful for minor wound cleansing or for cleaning body areas when water is not available. Obtain medical advice for all serious wounds or if unsure. Thick and absorbent hospital quality 8 ply sterile gauze swabs, individually wrapped peel-apart pack of 5 swabs, 7.5cm x 7.5cm each in a box of 50 packs (250 swabs in total). Better than using cotton wool as gauze swabs minimize fibre transfer to wounds and better than bulk gauze packs whereby you only open/contaminate 5 swabs at a time.